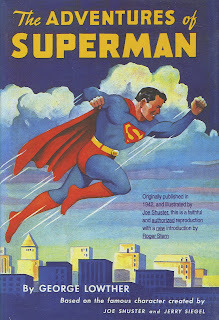 Much has been made of the so called 'Toberoff Timeline', a series of documents that were allegedly stolen from the law offices of Marc Toberoff in 2006, by a lawyer named David Michaels, who was working for Toberoff at the time, and duly sent to the lawyers acting for D.C. Comics in their Superman case. The documents came complee with a "cover letter, written in the form of a timeline, outlining in detail Toberoff's alleged master plan to capture Superman for himself, " which led to allegations that Toberoff had interfered with negotiations between DC and Joanne Siegel with the view of securing the Superman copyright for his own gains. The direct result of the Timeline was DC Comics filing suit against Toberoff, and that suit is still running today, as is the original 2004 Siegel v DC Comics lawsuit. 2012 INKWELL AWARDS TOUR, MS. INKWELL AND VOTING DETAILS!